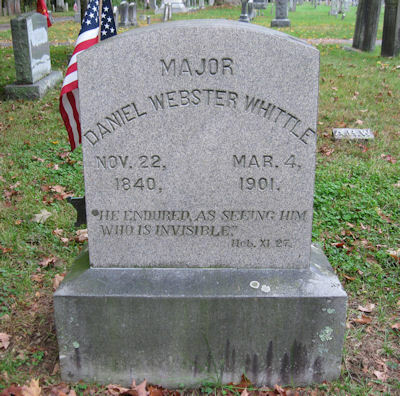 Northfield Center Cemetery, Northfield, Massachusetts, U.S.A.
Major Daniel Webster Whittle (1840-1901) was an American evangelist, Bible teacher and hymn writer. Through the influence of D. L. Moody, he entered full-time evangelism and worked with P. P. Bliss and James McGranahan. 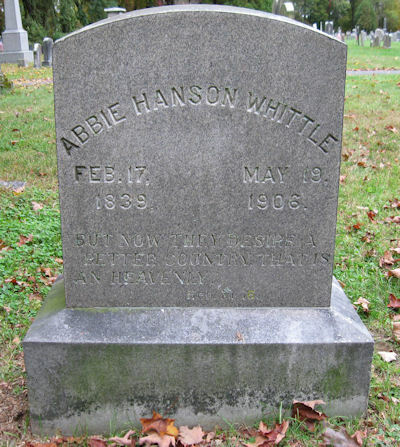 He wrote (mostly under pseudonym, El Nathan) the words for about two hundred hymns, including "Moment by Moment," "I Know Whom I Have Believed," and "Banner of the Cross." 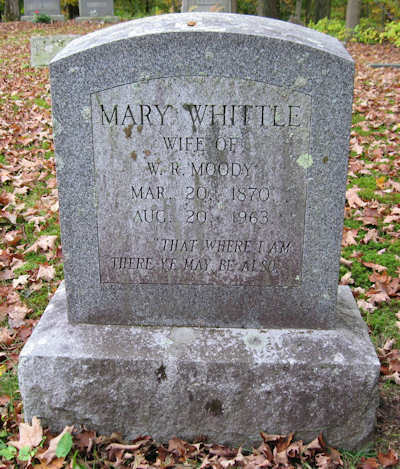 Only child of the Whittle's, wife of William R. Moody, son of Dwight and Emma Moody. "That where I am, there ye may be also." 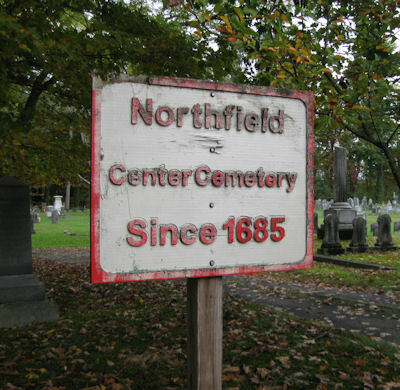 Located off Parker Avenue in Northfield, Massachusetts. Turn west off Route 10/Route 63 onto Parker Avenue. After sharp left turn, railroad track is on the right side. Turn right across track on dirt road into the Cemetery. 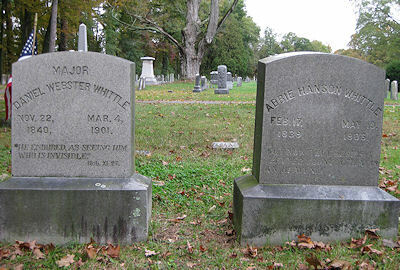 Travel straight ahead to the back left corner of the Cemetery for the Whittle and Moody gravestones.